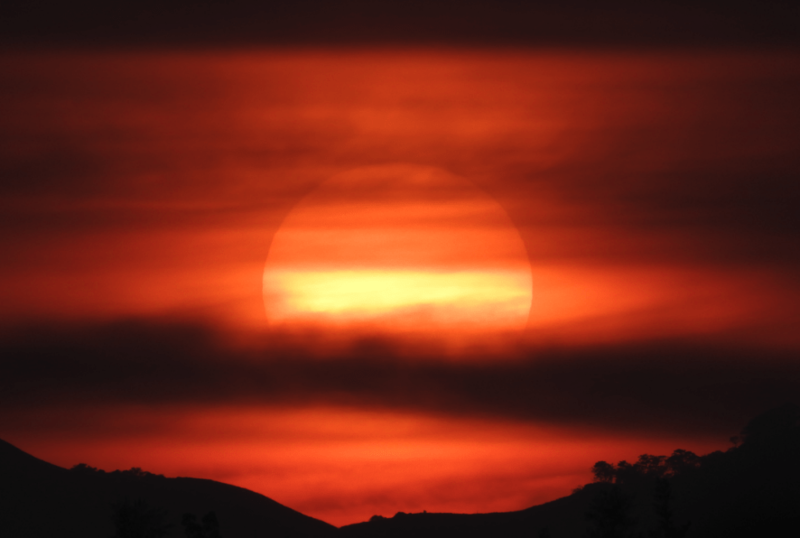 Taking a break from the routine becomes meaningful if there is an experiential attached to it. On a recent visit to Sakleshpur, in Karnataka I discover the joys of a holiday that packs a punch through a one-of-its kind coffee experience. This journey of the coffee bean to the coffee cup is unique and like no other. Welcome to the 150 year old Harley Estate, Classic Coffee and Golden Wood Eco Holiday Homes spread over a whopping 500 acres. Being located a mere 3.5 hour drive from Bangalore, the drive is a breeze and as you enter the coffee town of Sakaleshpur, the topography changes to green with coffee shrubs dotting both sides of the road. As we drive into the beautiful Harley Estate, Chandini D.P., Director Marketing and Administration was waiting for us with a warm smile and a hot cup of coffee. We soon hop into a jeep and are taken on an estate tour by Managing Director D.M. 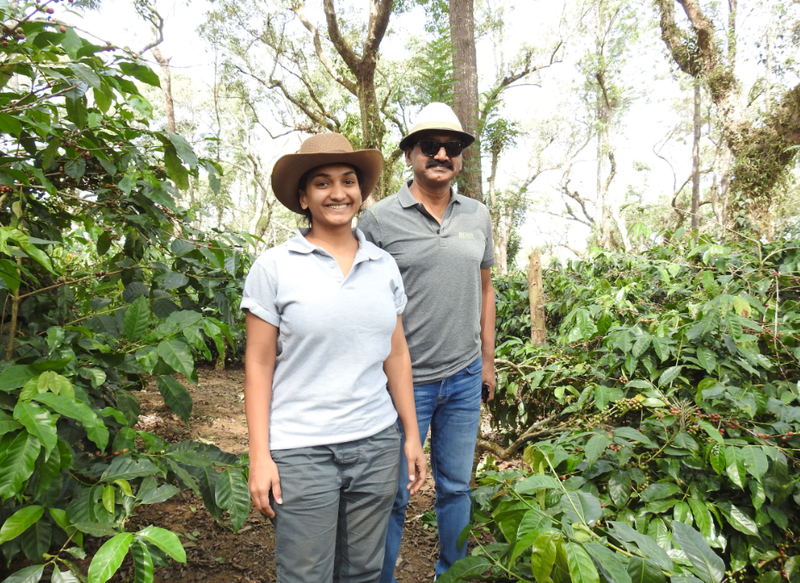 Purnesh, Chandini’s father who is an expert in all things coffee. It helps that we are here in the middle of the season and picking is in full swing. 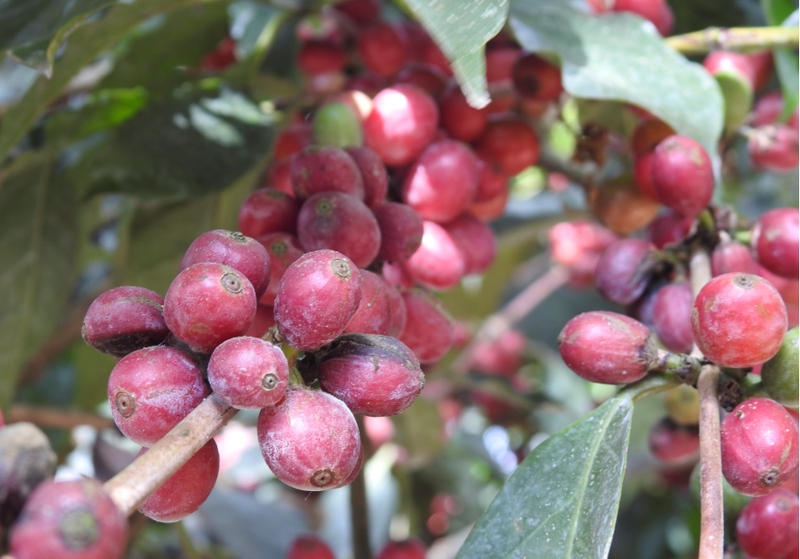 The Arabica coffee plants are ready first and the Robusta plants are harvested mid January. The bright red coffee beans make for a stunning visual against the dark green leaves of the shrub. I am explained that tending to coffee plants is a tedious process as the crop is delicate and even needs controlled shade which is provided by the jungle trees that are regularly cropped. In order to tend to the plants correctly, there are boards that list the name of the block along with field number, type of plant, year of planting, area in acres, variety and total plants. In fact I even saw year old shrubs that are given complete care to ensure that they grow healthy. “It takes a generation to develop the estate which the next generation can enjoy and then nurture,” says Purnesh. After looking at the plants, I also tried my hand picking a few beans and was told that in the season each worker can actually harvest a whopping 80 kgs of beans per day! The harvested ripened berries are manually and mechanically sorted to remove any green and non speciality beans. These are then prewashed using state of the art machines to pre wash and pulp the coffee. After this, the beans are soaked in fermentation vats and washed in fresh water. Post this the beans are sun dried on raised African beds and then on barbeque tiles that dries the coffee beans evenly and retain moisture per international speciality coffee standards! This is then stored and packaged after passing through extensive quality checks. As part of the coffee experience, I also had a chance to be part of a structured coffee tasting session where I learnt to appreciate coffee even more. 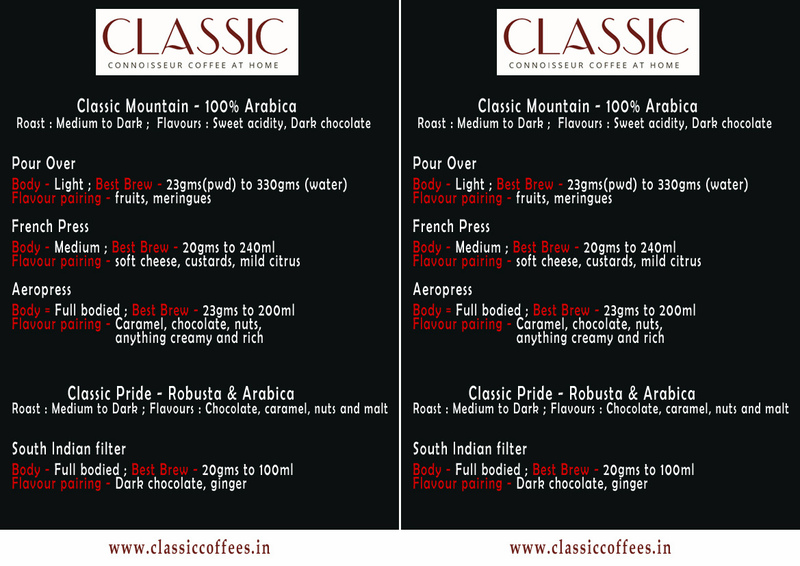 Branded as Classic Speciality Coffees these coffees are created by passion and craft from over five generations and are wholesome, pure and single-origin with fine terroir and finer technique. Shruti, the in house Quality Control Executive takes us through a coffee tasting session where she demonstrates how the taste varies using three different coffee filters. The Pour Over Filter uses a filter paper that is first washed with damp water and has a light body and is brewed with 23 grams of powder to 330 grams of water and tastes mild. This pairs best with fruits and meringues. The French Press has a medium body and uses 20 grams of powder to 240 ml of water and is slightly heavier, pairing well with soft cheese, custards and mild citrus. The Aeropress is a full bodied coffee that uses 23 grams of powder to 240 ml of water and is a thick decoction. This pairs with caramel, chocolate and nuts – basically anything creamy and rich. The sweet after taste though is hard to miss and little wonder then that Classic Synergy Coffee has been winning the best Arabica at the international Flavour of India – Fine Cup Award, for the last 4 consecutive years now. The estate has rustic style cottages branded as Golden Wood Eco Holiday Homes. Currently they have three different types of homes spread across a couple of kilometers, each with a different experience that reflects different aspects of a planter’s life on an estate. All rooms have a large double bed and can house a spare bed. We stayed at the Brick Cottage a rustic brick home that has is roomy with a verandah and a huge shower area which is sky lit and has a tree growing through it. This is next to the three Whispering Trees rooms that also house the central kitchen and a dining space on the first floor. The Hilltop Courtyard has two rooms and has stunning views of the woodlands, surrounded by a large garden. There is also a 100+ year old earth house called The Farmer’s Home surrounded by paddy fields and a stream. The two rooms retain an old world charm with red oxide flooring, fire-wood heated water in copper handles and a sky-lit attic. A British style bungalow is too be added soon. You can have lunch at a location close to the Waterfalls and the chefs here dish up some excellent authentic Malnad food. The resort is ecologically sensitive and electricity is generated hydraulically at one of the gushing waterfalls on the estate as well as solar energy. Even the food is made from produce grown organically on the plantation. Located in the vicinity are the Belur & Halebeed Temples, Manjarabad Fort, Shravanabelagola, Mullayyanagiri, the tallest peak in Karnataka, temples of Dharmasthala and Kukke Subramanya. Apart from the waterfalls, a natural stream and four manmade lakes are part of the estate. Being a self confessed bird lover, I fell in love with this place as there is a profusion of avian species here. You just need to have the patience to spot the birds. From waking up to the sound of chirping birds to spotting some of the most colourful birds, you have it all here. Chandini tells me that after doing two seasons with a naturalist they have recorded a whopping 200 species and there are two more seasons to go after which the species will be documented. It is also part of the Elephant Corridor. If you wish to cycle, there are bicycles on the estate as well. This is where you can simply sit back and relax over board games, coffee and the bonfire. Well, isn’t that what a holiday is all about? site, I like the style it really stands out.